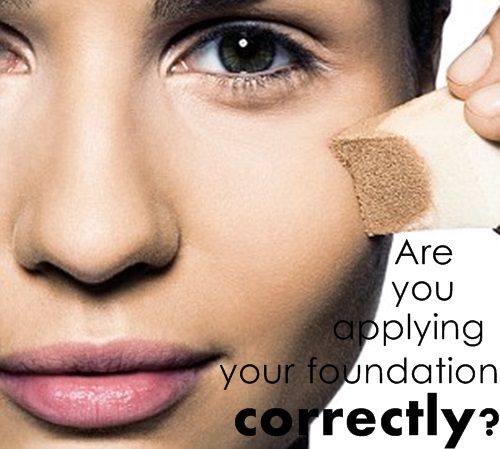 If you’re like me you’ve probably been applying your foundation the same way for years. Typically I moisturize, prime, conceal, and dab on the foundation with a foundation brush. But when I watched this video from Popsugar Beauty I discovered some new tricks that have helped me improve my makeup routine. Take a look! The biggest change I’ve implemented is switching out my foundation brush with a powder brush. I really do think it makes a difference on the skin and leaves a more airbrushed look. I’m still trying to get used to applying my eye makeup beforehand though. Honestly, I think that will be one habit that’s hard to break. But if there’s anything I learned from this video is that do what works for you and not what you’ve been told what to do. Great video! I don't wear foundation much but when I do I use a brush only because that's what came with the foundation! :) I've never been big on wearing make-up probably because my Mom never wore it. Great tips! I dab the foundation with a foundation brush but might give this a try. Thank you for sharing!! !